Established in year 2008, Tandoori Corner is well-known for serving authentic North Indian food to all food lovers at reasonable prices. "We at Tandoori Corner are committed to serve you fresh and tasty meals in relaxed atmosphere, accompanied by personable service� says Restaurateur, Surender Singh � A Hotel Management Graduate who started his career in 1993 with Hyatt International, New Delhi. 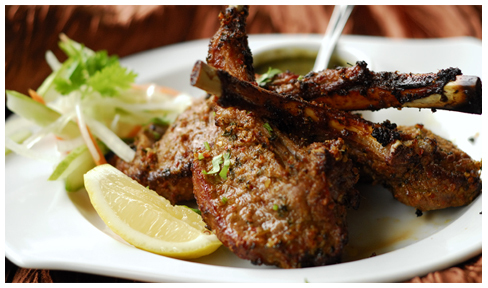 Tandoori Corner’s authentic Indian menu makes fine dining affordable. We serve traditional favourites like Tandoori Chicken, Briyanis, Rogan Josh, Dal, Paneer Makhni and a selection of Naans / Parathas. The emphasis is on rare and treasured recipes gleaned from royal households, not from commercial kitchens. The Restaurant’s menu changes quarterly based on customers’ feedback. Best viewed in IE7 or higher on 1024 x 768 (32 bit) resolution. All rights reserved, © Tandoori Corner.